I'm Alaina! I got my start in recruiting at Portland fin-tech, Simple, where I was helping build teams from scratch across Marketing, Finance, Business Operations, Customer Relations, and People/HR for almost 4 years. During my time with Simple, I helped them grow from 50 to 350+ employees. 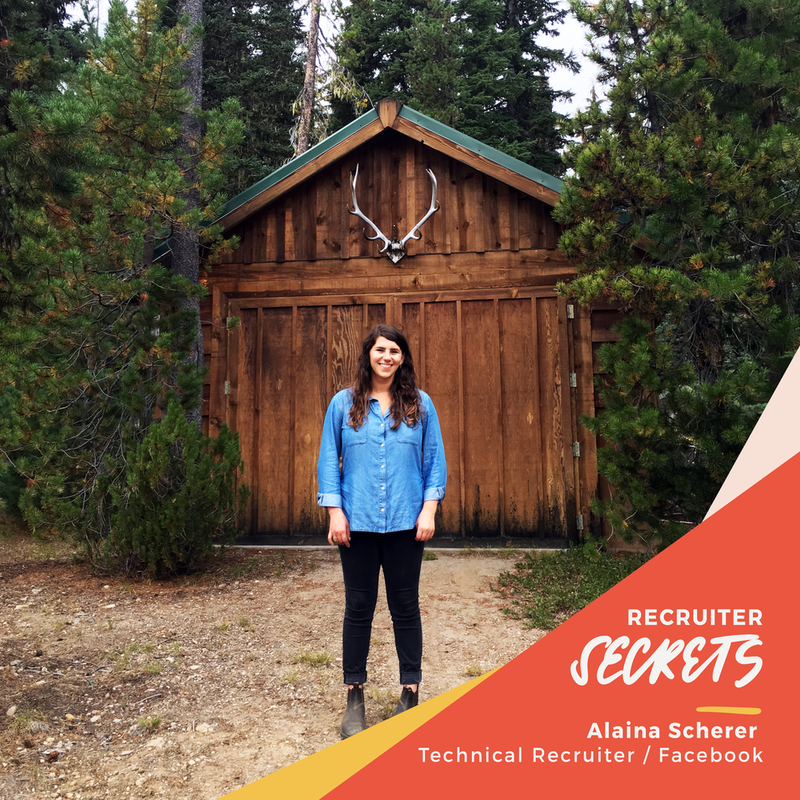 I now work at Facebook as a Tech Recruiter. I recruit full-stack and backend engineers across many of our products. 1. Networking. I don't mean networking for the sake of networking, but for the sake of following your curiosity. Are you passionate about a particular company? Why? Why is X field or technology you are trying to break into interesting to you? Use your job search as a way to learn more and make connections. People love talking about themselves, their work, and their passion, so use your search as an exploration and discovery, as well. Also, timing is (unfortunately) everything, and you may learn about an open role or that a team is preparing for major growth before it's posted on a company's career site through one of your conversations. Be authentic and genuine. Be gracious. 2. Get clear on what it is you're looking for. The clearer you are on the must-haves, nice-to-haves, and deal breakers for your next opportunity, the easier it will be to find it and know when you've found it. The search is just as much as finding the right fit for you. Ask questions! If you have clarity on your dream opportunity, you'll definitely stand out. 3. Partner with your recruiters. Lean on them. They are your biggest advocate (at least the good ones are! ).